Listen in as Heather and Sophie chat about the key to being a successful woman entrepreneur, about the importance of self-confidence. 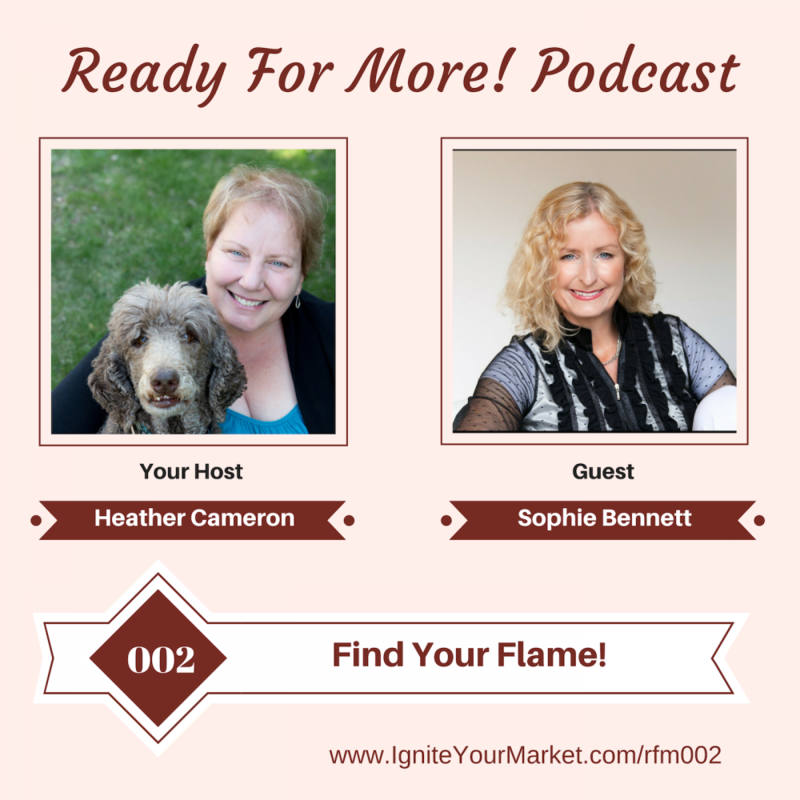 Sophie shares some amazing stories from her just-released book Find Your Flame – Why Motivation Matter More Than Talent. Sophie Bennett is a keynote speaker and author. She is an expert on leadership and motivation. Sophie’s new book, “Find Your Flame – Why Motivation Matter More Than Talent“, was released on September 19th, 2018. The book explores recently discovered motivational triggers that drive us to take action and inspire us to do our best work. Sophie is a habitual high achiever with an eclectic background, as a former professional skier, turned trainer of dancing horses. For the last 15 years, she has been running a successful practice as a communication & leadership expert. Sophie’s has appeared on stages in the UK, Europe, and the USA.